The Basic fighting unit. Comprising a leader (Rottenführer) and wing-man (Katchmarek). During cruising flight the two aircraft flew almost in line abreast about 200yd apart, each pilot concentrating his search inwards so that he covered his partner's blind areas. In combat it was the wing-man's duty to guard his leader's tail, while the latter did the fighting. Two Rotte made up a Schwarm, with the leading Rotte flying to one side and slighty ahead of the other (finger Four). The Rotte and Schwarm are both TACTICAL formations. The better/more experienced pilot leads, skill is the decisive factor NOT rank and/or seniority. Nominal strength of 12 aircraft. A Staffel formation comprised of three Schwärme stepped up in line astern. The staffel was the lowest grade of formation within the organisation. Commanded by a Staffelkapitän usually an Oberleutnant or Hauptmann, members of it's flying personnel would supervise the technical and signals branches as secondary duties. Late in the war some Staffeln had their numbers raised to 16 aircraft on strength nominally. Initially in the Gruppe comprised three Staffeln and a Stab (Headquarters flight), later in the war a fourth Staffel was added. The Stab flight consisted of 3-4 a/c. 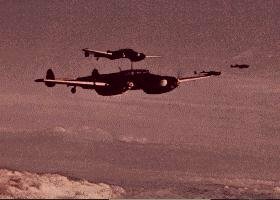 The Gruppe was the basic flying unit for operational and administrative purposes. When orders were given for moves of flying units, the recipients were usually Gruppen. Normally one complete Gruppe occupied a single airfield, occationally individual Staffeln might be detached from their parent Gruppe for operational reasons or to re-equip. The Gruppe commander carried the title of Kommandeur (Kdr.) and was usually a Hauptmann or a major, under his command he had an adjudant, specialist technical officers and a medical officer. Initially the Geschwader comprised of three Gruppen and a Stab, later in the war a fourth Gruppe was added. The Geschwader was the largest German flying unit to have a fixed nominal strength. Originally it had been intended that the component Gruppen of each Geschwader should operate together from adjecent airfields, but under the stress of war this soon broke down. The Geschwader commander held the title of Kommodore (Kdore), and was usaully a Major, Oberstleutnant or Oberst. His Staff included and adjudant, an operations officer, an intelligence officer, a navigation officer, technical officers, a signal officer and such other specialist officers as the nature of the unit and task might dictate. 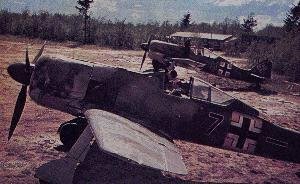 In the Luftwaffe the emphasis was always put on TACTICAL operations in support of the Wehrmacht. In the 1930s the Luftwaffe had been organised to exploit the great potential mobility of its flying units, so that forces could be concentrated rapidly at points at the front dictated by the military situation (like the famous JG1 of Von Richthofen in W.W. I, which earned it the nickname of "Flying Circus"). This in harmony with the new tactics being developed by the Wehrmacht, which would later be exemplified during the Blitzkrieg. To make it easier for flying units to move between bases within their Luftflotte area, they were freed of their administrative and supply organisations. The area of responsibility of each Luftflotte was subdivided into several Luftgaue, Air Districts, each with a headquarters responsible for the provision of men for administrative, supply and second-line technical tasks (those tasks requiring more skills, men or equipment than were available to a normal flying unit), at the airfields within their domain. Thus the Luftgau provided the necessary "hotel facilities" at airfields, to enable incoming flying units to go into action from their new bases with a minimum of delay. When a flying Gruppe took up residence at an airfield, its Kommandeur automatically took precedence over all other officers stationed there. While the Luftgau organisation was responsible within its set area for all administrative matter, the parallel organisation for operational puposes was the Fliegerkorps, Air Corps. Usually a Fliegerkorps was subordinated to the Luftflotte covering the area, though sometimes the former did operate autonomously. Typically a Fliegerkorps operated between 300 and 700 aircraft of all types, its strength depending upon the importance of its area and the nature of operations it was called upon to fly. For the greater part of W.W. 2 the OKL was split into two parts, a forward echelon and a rear echelon. The forward echelon, code-named Robinson comprised the Chief of the General Staff, the Operations Staff, the Director General of Signals, the Director of Training and part of the intelligence department. This part of the OKL was situated close to the Oberbefehlshaber der Wehrmacht (Commander in Chief, Armed Forces, cq the Führer after he sacked Von Brauchitch). The rear echelon, code-named Kurfürst, comprised the other departments of the High Command. It was situated in and around Berlin. Robinson and Kurfürst kept in close touch with each other by means of liaison officers and an excellent communications service. There were two daily conferences at which the affairs of the Luftwaffe were decided. The more important was the afternoon meeting at Hitler's headquarters, presided over ny the Führer and attended by the Chiefs of Staff of all three services; there the conduct and progress of the war as a whole were discussed, and decisions of the highest importance taken. The Luftwaffe was directed from the RLM, which had a dual function. Firsty the OKL, concerned purely with the military direction of the Luftwaffe, secondly, there was the office of the Reichsminister der Luftfahrt, State Minister for Air, which dealt with ministerial problems, long-term administration, financial control, civil aviation, and untill 1944, aircraft production. Herman Göring headed both almost untill the end of the war as Reichsminister der Luftfahrt and Oberbefehlshaber der Luftwaffe, Commander in Chief of the Air Force. 1,3 and 5 came under the Chief of Operations Staff; he was responsible not only for operations but also for all basic decisions relating to the implementation of the air strategy as laid down by the Chiefs of the General Staff. 2,4,6 and 9 came under the Generalquartiermeister, the Quartermaster General. In addition to the Abteilungen, there were several inspectorates, which came under the Chief of General Staff. These dealt with specific flying subjects such as fighter, ground attack etc.